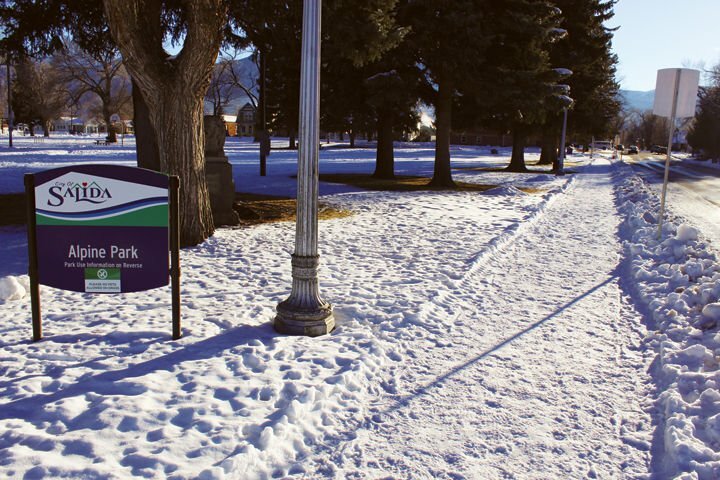 Sidewalks at Riverside Park and Alpine Park remain covered in snow and ice Monday afternoon after Friday’s storm. 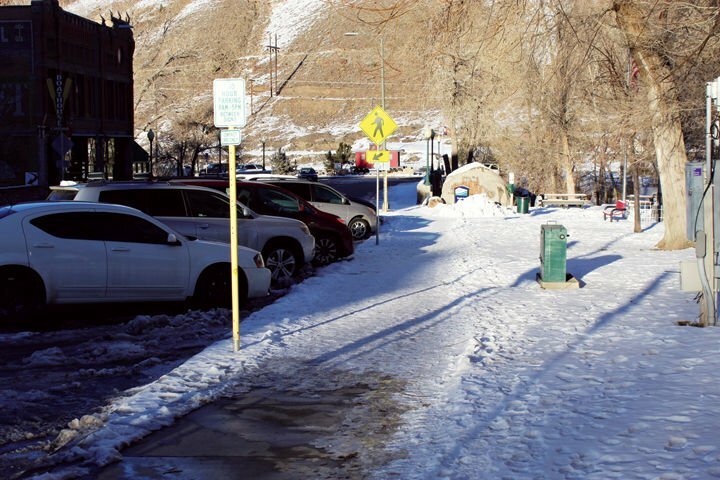 Salida Municipal Code states that property owners and tenants have four hours after it stops snowing to remove snow and ice from sidewalks fronting their spaces. David Lady, public works director, said park staff reported to him that they used a skid steer to clear the snow on Friday.